This document explains our shipment as well as shipment reclaim policy. We ship everywhere when possible. This includes all countries and regions, and for most items we have a single shipment fee, regardless of the destination. Please note that you, the buyer, are responsible for any VAT, tariff, duty, taxes, handling fees, customs clearance charges, custom duties etc. 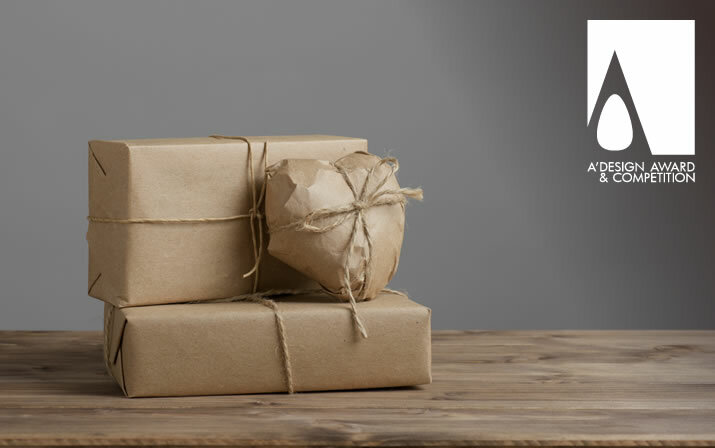 even for items that we might send as gifts, as required by your country for importing goods. We do not collect any of such taxes, custom duties or handling fees beforehand, and we cannot give you an estimate of such costs if any, we cannot give an estimate of duty fee or tariff costs because these costs vary widely around the world. Please do your research so you’re ready to get your package cleared through customs, and have an idea of what the additional cost will be. Furthermore, for most items, we indicate the nominal fees of the items inside a Proforma Invoice, this is because as you would know many items we ship are free of charge, the recipients usually pays for the shipment fee. Furthermore an important item to note is that we do not ship to post boxes, and you need to confirm your shipment address from your control panel before we could send a shipment. If you did not confirm your address, you can click here. We ship items out as soon as possible, but this will not always be the same day as your order. In general, please add 4-5 business days to allow for processing time. If we anticipate a longer lead time, we usually will not tell you, unless we think we could ship the item within the next week or so, otherwise we will try to send an email about the shipment. For each shipment, we usually send a notification and you need to ensure you get our notifications by email. Getting your shipment notification is especially important because, if you haven’t received the shipment confirmation email, you also won’t receive the your shipment notification and tracking information. We do not ship during holidays, weekends, and in summer time shipment could be slower. Please also note that some shipments will require your signature, so you might need to be present at you address when you receive the shipment. You can purchase your items online and pick them up at our distribution points and later you can yourself ship them directly to your doorstep. If you wish to pickup your items yourself or if you wish to send a courier to pick your items on behalf of you, please contact us in advance, we have some periods around the year that item retrieval without shipment is possible free of charge, in other times, we might need a handling fee, especially for example if you did not retrieve your items for a long time and if these items are later warehoused. To pick up your items in our locations, you will need to bring the card used for payment, or the order number and a valid photo ID and you should be ready to sign a paper that says you are retrieving your items. If you delegate another person to retrieve your items, the delegated person must have your photo ID photocopy where your signature is seen (or signature demonstration document), plus a document of delegation, duly signed by you, with the date and location indicated, plus we will not give it to your delegation unless we expect you to retrieve the package in advance. In any kind of retrieval you must have our explicit date to come and pick up the objects, you can of course come visit us anytime but the package will not be ready unless we prepare in advance. You'll receive a Pickup Notification email when each item becomes available. Please wait for the Pickup Notification email before coming to the us to retrieve your item. We include a proforma invoice in most cases, even if you are not going to pay for the items, a proforma invoice could be included with your shipment, this is true for winners, press members as well as jury members for their winner kits, jury kits and press kits. If you find a proforma, please do not pay for the items, the proforma is for custom purposes only. In some countries you might require a statement or declaration that the items are gifts. We have declarations for winner kits, press kits and jury kits but please contact us so that we fill this and send to you signed and scanned if required. The recipient agrees to cover any custom duties for their orders as well as any other type of taxation or payments required to withdraw their items from couriers, post offices or duty offices in their countries. Items cannot be returned. We do not refund any items you return. Especially for items that are customized for you, such as certificates etc. We are not obliged to combine shipments from the same recipient. We will not refund fees for combining or not combining shipments, in most cases, for multiple payments or orders multiple shipment fees shall be paid. Prior to submitting a claim you should read the loss, damage and delay compensation policies written in this page to see if you may be entitled to compensation and what type of compensation there could be. Please note that we are only able to deal with claims where the item was send by us, if an item has been posted with third parties or handled by another company on behalf of you such as your own courier or postal operator then it will not be eligible for compensation or reclaim from us. 1) Name and full address of the intended recipient as well as some identification information required (most likely your name, and ID details) 2) The relevant invoice number and design ID or profile ID number (you can learn your profile ID from your control panel.) Item reference or tracking number (please fill it when possible) 4) Description of the missing contents (only required if you indicate that some of the contents are missing). 4) Photograph of damaged goods and package (if items arrive but are damaged) but please note that 5) We might ask further details depending on the situation. What do we compensate? How do we compensate? Below, we explain the different situations that could result you to apply for a shipment claim. Please read each sub heading as well as relevant heading to have a better understanding. After reading the notes below, you could download the shipment claim forms. If there was an error on our side, like if we mistype your address and the package has returned or lost, we will send the package once again to you, free of charge, however we will not send to the same address twice, before sending you the package we will ask you to provide us a new address for delivery, if the address is correct (when we compare it to that we provided to courier, it could perhaps be your error). We will also note in this our system under your profile as positive karma. We will not refund any shipment fees or we will not refund contents fees. However if some items are not available for resending, such as out of stock or out of production, we would credit your A' Design Award account with nominal cost of these items. If there was an error on your side, like for example if we send the package but you do not retrieve it (for example if there were duty fees or customs tax and you decide not to pay them and thus your package returns, or for example you were on holiday, or for example you simply forgot to retrieve it), in this case, a) if the package returns back to us, we will ask you to repay shipment fees before we ship the package again plus we will not send to the same address again. We will also check contents and redo the packaging. b) if the package does not return to us, or if it is lost etc, we will ask you to fill the claim form that you can download from this page, then we will forward your claim form to postal service, and if the postal service refunds us the shipment fees, we will resend your package to a different address provided by you, we will cover both the shipment fees as well as the cost of the shipment contents (you will not need to pay anything), however if the postal service does not refund us the fees for shipment, we will not send you the item again, we will not credit you either. We will not refund any shipment fees or we will not refund contents fees. However if some items are not available for resending, such as out of stock or out of production, we reserve right (but not obliged) to credit your A' Design Award account with nominal cost of these items. If we did not send the package on time (we might delay or forget about it since packaging is done by people), in these case we will ensure you get the package by resending the package and tracking it down. We will not refund any shipment fees or we will not refund contents fees. However if some items are not available for resending, such as out of stock or out of production, we reserve right (but not obliged) to credit your A' Design Award account with nominal cost of these items. It can take up to two months for a shipment to go to its final destination, but you can contact us and check for its status starting from the 40th day of payment. If you receive the package, but some items are missing, you must let us know within 3 days from the receipt of the package, we need to be able to track whoever prepared your package to ensure that the person who prepared your package did not forget about any item, but also there has been cases in which postal offices or customs could inspect packages and occasionally drop or lost items. In any case, we will ask you to fill the refund form and afterward we will send your missing items once again, however we will be very extra careful when sending your missing items once again, thus we will prepare the packages extra careful and ensure that no items are missing when we resend the missing partial shipment, and afterward we will not accept any other missing item claim. We will not refund any shipment fees or we will not refund contents fees. However if some items are not available for resending, such as out of stock or out of production, we reserve right (but not obliged) to credit your A' Design Award account with nominal cost of these items. When filling your claim form, remember to take a picture of the package. If we decide not to send you a shipment, and we might occasionally do so (for example if you did not win the award but find a loophole and somehow ordered a winner package, if you ordered a service that you are ineligible for etc) in this cases, we will not send you anything and we reserve right (but not obliged) to credit your A' Design Award account with nominal cost of these items. The same principles apply for example if there was a time-sensitive campaign and your payment arrives after the campaign ends, in this case you would have ordered ineligible item. If you did not pay shipment fees, for example you ordered an item and indicate that you would pick up the item from gala-night or exhibition, but later you do not join the gala-night or exhibition and thus you do not pick the item, and you want now us to ship it, in this case you need to pay shipment fees, and in some cases packaging fees or late processing fees. There is a one (1) month limit of requesting shipment (or retrieving yourself via your courier or yourself) for any items that you buy without paying for their shipment. After 1 month, the item will be considered discarded, we reserve right to recycle, refurbish, reuse the item but in some cases we simply throw them since some items are customized. We do not need to send you a reminder email about these items (but we will try to do so without guarantees however if we do not send, that is not a problem). If you pay the shipment within one month, we will try to send your item if it is available. If you do not pay the shipment, in this cases, we will not send you anything and we will not refund any fees. If you pay shipment fees after abandoning items for more than 1 month, we reserve right (but not obliged) to credit your A' Design Award account with nominal cost of these fees but also we might ship the items if we have, we will decide it ourselves. However if you pay shipment fees within a month and if some items are out of stock or out of production, we reserve right (but not obliged) to credit your A' Design Award account with nominal cost of these items. It is normal that some items could be slightly damaged during shipment, if the items are resent, they would still be slightly damaged, thus beforehand please send us a picture so that we could understand and assess the amount of damage (and please do not damage the item to make it look damaged, we remind that sometimes we do not have a replacement). If we think that the item is heavily damaged or unusable as it got destroyed completely, we will resend the item, free of charge, but you will need to take a photo of the item and attach to your claim form so that we could claim it from the courier as well. If the item is mildly damaged, and can be used but not as appealing as it once was, if you think that way, we then will send you the item for free but we will ask you to repay the shipment fee, and in some cases, if the item is really valuable and if we think we could use the item, we might ask you to ship the item back to us, and we might in return ship you a new item. When we do re-shipments such way, we will show extra care and attention and make obsessive strong packaging to ensure that the items do not get damaged again, however some countries have crazy couriers who are known to throw packages as if they were frisbies, if you believe your country is such, you might as well send us a courier to retrieve the items. When items are heavily damaged but not replaceable (out of stock, out of production or similar), we reserve right (but not obliged) to credit your A' Design Award account with nominal cost of these items and in this cases, we will not send you anything and we will not refund any fees. If the item is slightly damaged or trivially scratched, we might decide not to re-ship it, we will decide it based on your Karma. Regardless if the item is slightly damaged, and you insist on shipment, we might ask you to repay shipment and in some cases the item fees. What do we do when you fill the claim form? We firstly contact the courier and fill their much longer, much bureaucratic claim form, meanwhile we also initiate the internal procedures to re-prepare shipments to ensure faster re-shipment. In some cases we might have to wait the result of the claim procedure we initiate by the courier. In some cases we might add credits to your account, and in some other cases we might ask you to repay the shipments. Once we receive your claim it may take up to 90 days to have the courier investigate and respond fully, so please allow us this time before contacting us again. 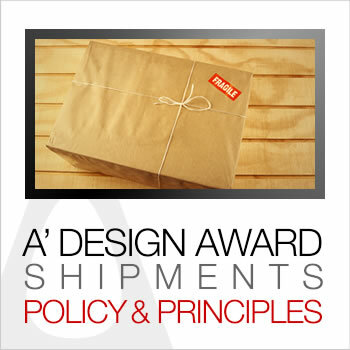 The A' Design Award and Competition aims to ship your items with great care and passion. Please do not hesitate to contact us for any information regarding your shipments.